Yuriy has been a soloist with Moscow Ballet since 2015 and is also Audition and Rehearsal Director for the Dance-with-Us youth casts that perform in the Great Russian Nutcracker alongside the company of 40 professionals. Yuriy auditioned for and attended Rushnychok Vocal and Dance Ensemble where he studied the performing arts, including choreography, vocals, acting, and history of theatre. His time at Rushnychok formed his desire to master the art of dance and choreography on a professional level. Yuriy was accepted to the Lviv State College of Culture and Arts, a famous art institution that is among the world’s first founded over 100 years ago, studying dance and choreography. Honors include receiving an award for choreographic composition and being invited to attend an International Seminar of Choreographers in Athens, Greece. After graduating from Lviv College of Culture and Arts, he worked with the Honored Dance Ensemble of "Yunist.” Furthering his career, Yuriy entered the Drohobych Ivan Franko State Pedagogical University receiving a Master’s degree in Choreography. Prior to joining Moscow Ballet, Yuriy danced with the Lviv National Academic Theatre of Opera and Ballet as a soloist performing the Spanish Dance in Swan Lake; Drosselmeier, Rat King and Spanish dance in The Nutcracker; Espado, Bolero and Jig in Don Quixote; Birbanto in Le Corsaire; and more classic ballet roles. Moscow Ballet Soloist and Audition Director Alisa Bolotnikova has performed with Moscow Ballet since 2016 and is also Audition Director in the “Dance with Us” program. Alisa was accepted at the Kharkov Children's Music, Ballet and Choreographic School at 5 years old. She graduated from the Kharkov University as professional ballerina and teacher of choreographer in 1997. Alisa also attended the Kharkov National Academy of Municipal Economy, graduating with a degree as engineer economist! She has a Teacher of Choreography degree from Kherson National University and most recently graduated from Kharkov State Academy of Culture, with a Masters of Choreography. Alisa was invited to join the Kharkov National Opera upon graduating from the National Ballet and Theatre Academy in Kharkov in 1997 performing as a classical ballerina in tours around the world. Some of her favorite roles are as Scheherazade in Arabian Nights, Gypsy Zhelobinsky in Don Quixote, and Mother in the ballet Isadora Duncan (Who lived in Russia for a time and was beloved by the Russian ballet community). She has performed as a folk dancer in Bulgaria and as a Modern dancer in Japan. She was a Ballet Teacher for children 4 to 6 years old and taught choreography, gymnastics, and rhythmic gymnastics for child athletes. She also works at Kharkov Ballet College teaching students to become professional dancers. Some of them have already danced on stages in America with Moscow Ballet! Alisa’s repertoire includes the classic ballet stories and modern works. 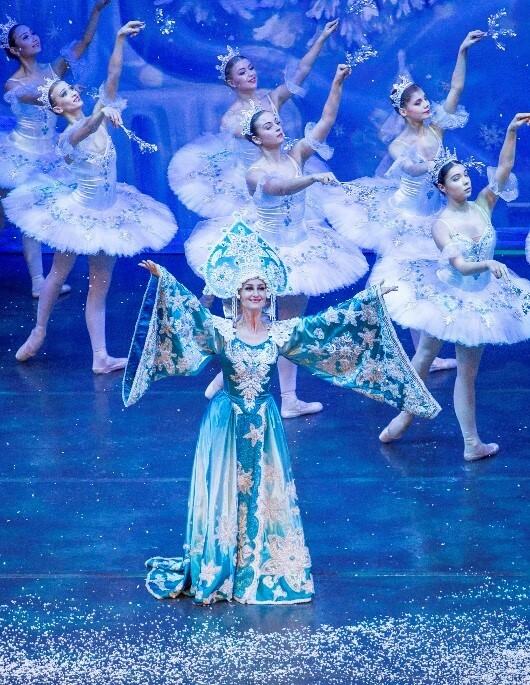 Roles include the Russian variation in The Nutcracker, the Gypsy dance in Don Quixote, Marjana in The Arabian Nights and as Isadora Duncan in the mother role and many more ballets and operas performed at the Kharkov National Opera & Ballet Theatre.